While real estate transactions might seem complicated, underneath all of the industry terminology and complicated legal documents is a process governed by common sense. First, the two parties agree to do business with each other at a price that they both think is fair. Then, the buyer inspects what he's buying while he looks for someone to lend him money and ensures that the property is okay to buy. At the end, the buyer doesn't give his money to the seller until he's sure that the seller will give him the property. Once you find a property that you want to buy, you'll submit an offer to the seller. Depending on your state, you'll either write your offer on boilerplate real estate purchase forms that will serve as the contract for the transaction, or you'll write up a less lengthy document like a letter of intent. Once you and the seller negotiate and agree on price and terms, you'll sign the contract and deposit funds into an escrow account -- usually your real estate broker's account -- and the purchase process begins in earnest. Most purchase contracts have a clause that allows the buyer to inspect the property before proceeding with the purchase. 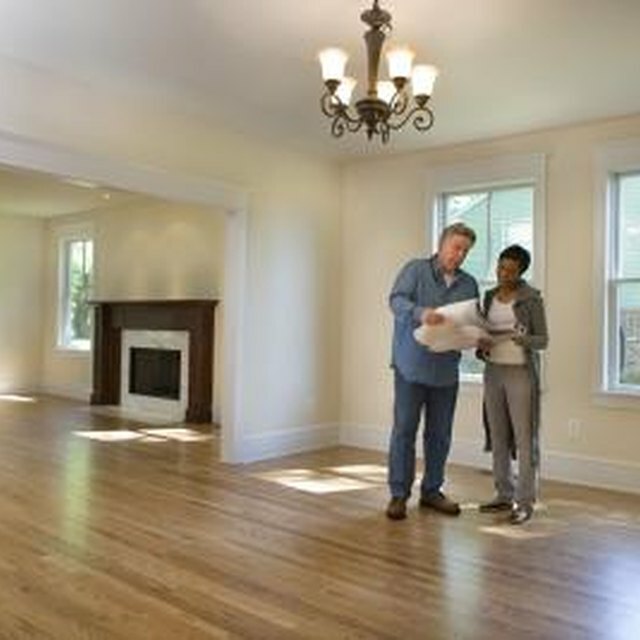 A buyer can walk through himself or bring professional inspectors to really delve into the property and its condition. If the property passes muster, the buyer can remove his contingency. If it doesn't, the buyer can usually either walk away from the transaction without losing his deposit or negotiate with the seller for a price reduction or for repairs. The lending process usually starts before the buyer finds a property. Once the property goes under contract and goes through inspections, though, the process enters a new level of intensity. The lender completes an in-depth review of the buyer's finances and ensures that the property meets its expectations; the lender hires an appraiser to establish the property's value as collateral for the loan. While the buyer does his inspections and the lender does its appraisal, the title company works behind the scenes to research the property's ownership history. The title search ensures that the seller actually has the right to sell the property and that no one else has a claim to it. In some states, the title company that handles the closing is authorized to use its resources to conduct the title search. Once the buyer has finished his inspections and the lender has formally committed to lend money, the property can move to the closing. The closing agent prepares a final statement to show where all of the money in the transaction is coming from and where it needs to go. Typically, the parties involved in the transaction send money to the closing agent by wire transfer. At the closing, which usually takes place in the closing agent's office, the seller signs over the deed to the buyer and gets the money, and the buyer signs his loan documents and gets the keys.